Managing a fleet isn’t easy, that’s why there are so many solutions available to help make it easier. 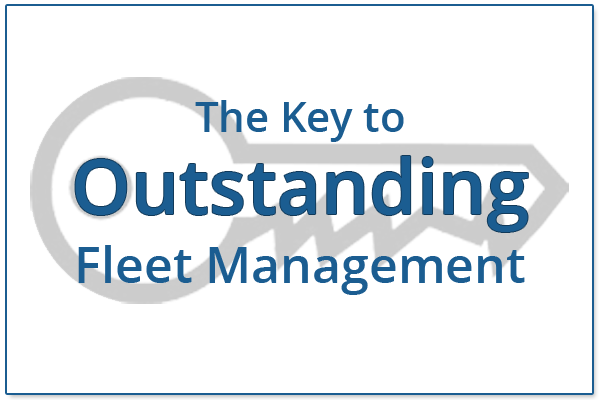 Being able to keep customers happy while managing vehicles and drivers is difficult for any fleet manager. Unfortunately, even with all the technology now available, there are still fleet managers insisting on continuing to use a manual approach. This means relying on memory and known traffic conditions to inform customers of delivery times and finding vehicle issues through drivers reporting them, after already breaking down. This is not the best method for fleet management and can hurt customer retention as well as your bottom line. Imagine knowing what vehicles were stuck and traffic? Or getting an email whenever one of your vehicles had an engine fault? Most importantly of all, what if you received an email the moment one of your vehicles were involved in an accident? With our software, you can easily set up rules for any situation, no matter what your fleet specializes in (eg. transportation, delivery, personal, etc.). The preconfigured default rules include everything from idling to speeding; there are rules that are based on posted road speeds and geo-zones and so much more. Still want more? 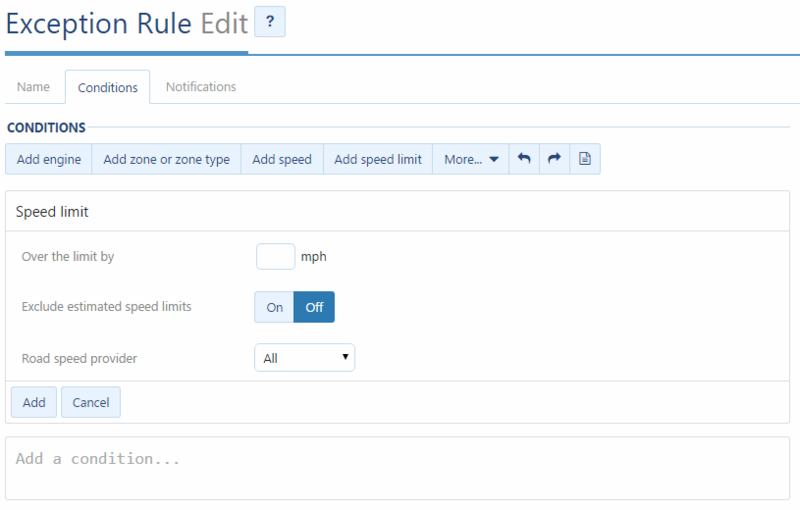 You have the option to customize any of these conditions or create a rule from scratch using the simple and intuitive rule creator. 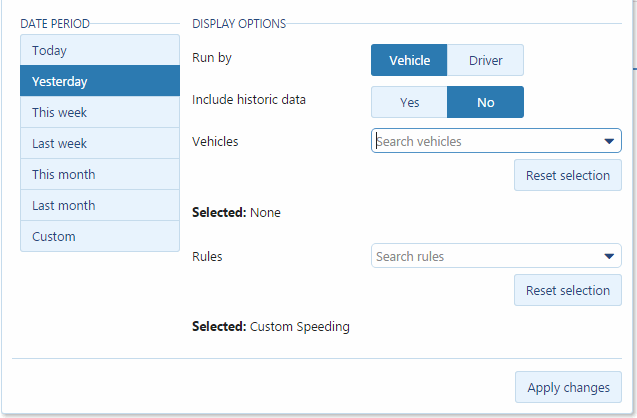 First, you will need to give the rule a name, and select the group of vehicles you want to apply the rule to. Then, pick the conditions you need to be met before an exception is created from a list of hundreds of possible conditions. Everything from engine lights to work hours to speed can be used as a condition. Once you’re pleased with the conditions, the final step is to select the notification. You can either choose to receive an email or have our GO device beep at the driver when conditions are met. No more driving without a seatbelt, no more speeding over posted road speeds, no more unscheduled breaks and so much more. Fleet managers can now focus on eliminating the occurrence of exception events and working with their drivers to reduce risky driving habits and increase safety. What could be better than solving a problem? Solving the problem before it even happens. Instead of finding out how many customers received their deliveries late, you can get a notification and work with the driver to make sure deliveries are made on time. Instead of dealing with downtime, you can know which vehicles are having issues and service them when it is convenient before a breakdown occurs. Because our software is a data-driven platform, all exceptions can be received in a PDF or Excel format. You can use this data to create your own custom driver scorecards, customer and vehicle statistics and so much more. To do this, simply go to the appropriate section of the software, select the date/time of the default or custom report and click “apply changes”. It’s really that easy. To find out more ways we can help your business move towards outstanding fleet management, contact one of our trained fleet consultants. Before signing up for anything, they will walk you through how our software works and how it will help optimize your business and ultimately save you money!